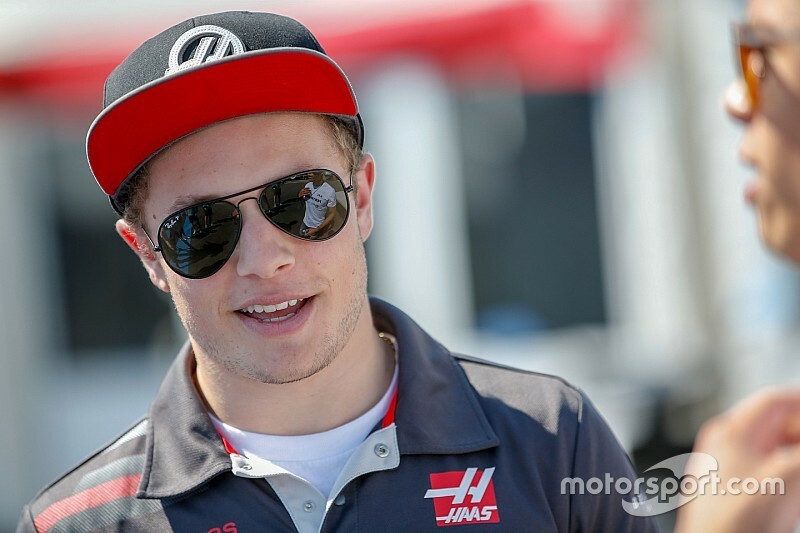 Haas Formula 1 junior Santino Ferrucci has received a four-race ban from Formula 2, after crashing into his teammate Arjun Maini after the sprint race at Silverstone on Sunday. 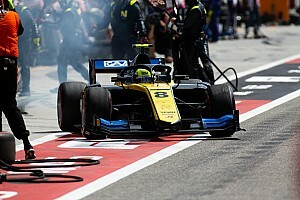 Ferrucci drove into the right-rear of his Trident teammate Arjun Maini’s car on the cooldown lap after Sunday's sprint race. 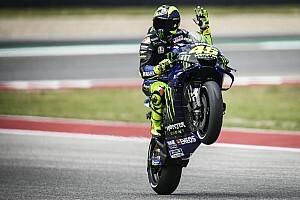 For this, he has been fined €60,000 and banned from the next two rounds at the Hungaroring and Spa. 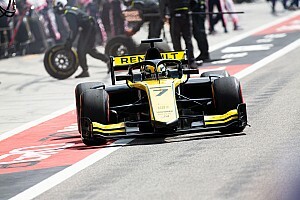 Allied to that, American driver Ferrucci was seen to be driving with a glove off between the F2 and F1 paddock at Silverstone on Sunday, which is not allowed. In that hand he was seen to be holding a phone, and for these two offences he has been fined €6000. Ferrucci had been deemed to have forced Maini off the road at Turn 4 in the sprint race on Sunday, and was disqualified from the results. After being hit by Ferrucci, Maini complained on the radio that his teammate should be banned. 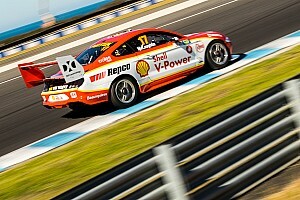 The pairing had clashed in the feature race on Saturday. Ferrucci was given a time penalty for forcing Maini off the track in that race as well. 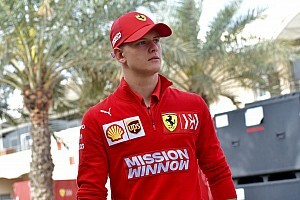 He will now miss the Hungary and Spa rounds of the championship, in which he lies 18th in the points. Gunther Steiner, the Haas F1 team principal, confirmed he would be investigating the incident. "I’m aware of the incident, I’ve seen it once on TV when they showed the race," he said. "I didn’t really realise, I didn’t hear the audio, but I was made aware that there are some problems. "I said I’m not gonna deal with them today, because we have a race to go to. "I’m gonna deal with them in the week so I will get more information. I’m aware something happened but at the moment I don’t have enough information to comment on it." Another penalty has been revealed after Sunday’s F2 feature race, with Luca Ghiotto dropping out of the points from sixth place. UPDATE: In a statement released on its official Twitter account, Trident backed Maini in the dispute with his teammate, accusing Ferrucci of "unsportsmanlike and above all uncivilised behaviour".